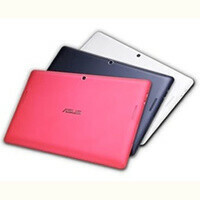 To tell you the truth, we were a bit surprised by the absence of the Asus MeMO Pad 10 (model ME301T) at CES 2013. The tablet, which had leaked only days prior to the show's start, seemed ready to make an official appearance, but we guess Asus decided to make the device official at a later time. Yet that time might be right around the corner as pretty much all of the MeMO Pad 10 specs have now been leaked, in addition to an unboxing video, which is currently on YouTube. As we already know, the Asus MeMO Pad 10 has a 10.1-inch IPS LCD screen with resolution of 1280 by 800 pixels and a Tegra 3 SoC (T30L) running at 1.2GHz. There's also 1GB of RAM on board, and the 16GB of storage can be expanded by popping in a microSD card. A pair of cameras is also present – a 5MP main shooter with auto-focus on the back and a 1.2MP front-facing cam for web chats. The device weighs 580 grams, has a thickness of 10.5 millimeters, and its battery should last through about 8.5 hours on a single charge. Android 4.1 Jelly Bean comes out of the box, along with several extras, such as back-up software and app for accessing 3GB of complementary cloud storage. Overall, the Asus MeMO Pad is nothing but your ordinary mid-range Android tablet, but it is good to know that it will come at a reasonable price. In Europe, the device should cost around 300 euro ($400), if previous leaks are to be trusted. An official announcement of the Asus MeMO Pad is likely coming soon. A bit confused. This is spec-for-spec the same as the tf300. What's new? Indeed. And that one can be had for less than $400. If the price is $400, it would be epic fail.